I went to a candlelit yoga class last night at the most gorgeous little studio you’ll ever see. Shaped almost like a chapel, with clean white walls rising up to a line of velux windows looking out into the dark November sky, Studio iO is a sanctuary – a real secret haven tucked away from Brighton’s busy city streets. On the floor our mats awaited us – with bolster pillows and blocks to ease our stiff and tired bodies into practice. Next to each mat sat a single candle, giving the room a beautiful warm and inviting glow. Lavender scented eye pillows soothed our overworked eyes, and devotional chanting and sound healing with kirtan and guided yoga nidra (meditation) fed our souls. It was the most amazing 90 minutes. That was the response to my gushing proclamation of my new-found love for chanting and sound healing in practice. It really was another level. 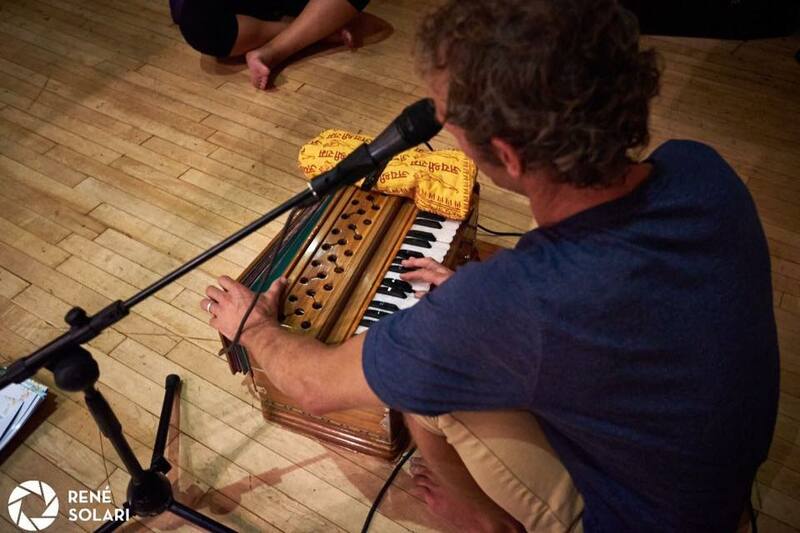 I’ve never really got into chanting before, probably because I *still*, after all this time of saying how much I love it, don’t practice yoga enough to really let go and give it everything. I will though, I promise. I *will* make time for me every single week. Like a friend who lives far away, it’s there when life gets too much. When you just need a sit down and a good chat (or chant), yoga’s there, ready and waiting, with no judgement and all the time in the world to give to you. It’s amazing how much you can journey into your inner self when you truly allow yourself to let go. Ironically it’s actually really hard to ‘let go’ and bring your consciousness back to the present moment and away from your ever-increasing to do lists, but once you do, it’s something really special. After practice you feel cleansed, free, leaving all the weight on your shoulders that you carried into the class behind. But no, seriously. The first time I ever did yoga I just didn’t get it. I was bored and annoyed that I couldn’t get into the poses, and wondering why it was all taking so long. I realise now it’s about having a good teacher and giving it time, of course. Time in the class, and time to keep going. No one else’s, just you. Once you stop worrying about what other people are doing or what you look or sound like you can get on with finding your zen. That’s why closing your eyes when you’re gyrating around in a hip-opening forward lunge is always a good idea. It’s also pretty slow, but so, so worth it. When I used to go semi-regularly (i.e. once a week or once a fortnight to free Sweaty Betty free classes) I used to think I was still really crap. I know now, after tonight’s demonstration of my no-longer-existent balance, that I have some work to do to build back up to where I was. Looking back, I was actually very strong, had great balance, could hold the lifting legs in downward dog and side planks etc. pretty well, I just didn’t know it. I know that sounds ridiculous when you put the words together like that but it’s true. The only time I ever truly know what it feels like to have a body, to be in my body, is when I’m doing yoga. I come away every single time feeling more connected to myself than ever before. That existential level of consciousness always fascinates me when I think about who, and what I am. My absolute favourite thing to do, is very, very slowly, bone by bone, roll up my spine from a forward bend after a sun salutation, bringing my head up last. Hands to heart, eyes closed. Ahhhhh. Makes me all giddy inside. Warrior Pose also makes me feel invincible. Don’t you think it’s fascinating that you can go on such a journey just by moving your body in a certain way, or lying completely still on the floor? I’m so glad that somewhere along the line, someone discovered yoga and meditation. If only we could bottle up these endorphins and share it around the world. I don’t know about you, but when I can call Downward Dog a rest and have got my side plank or balance poses down without shaking like a plate of jelly, I feel invincible. 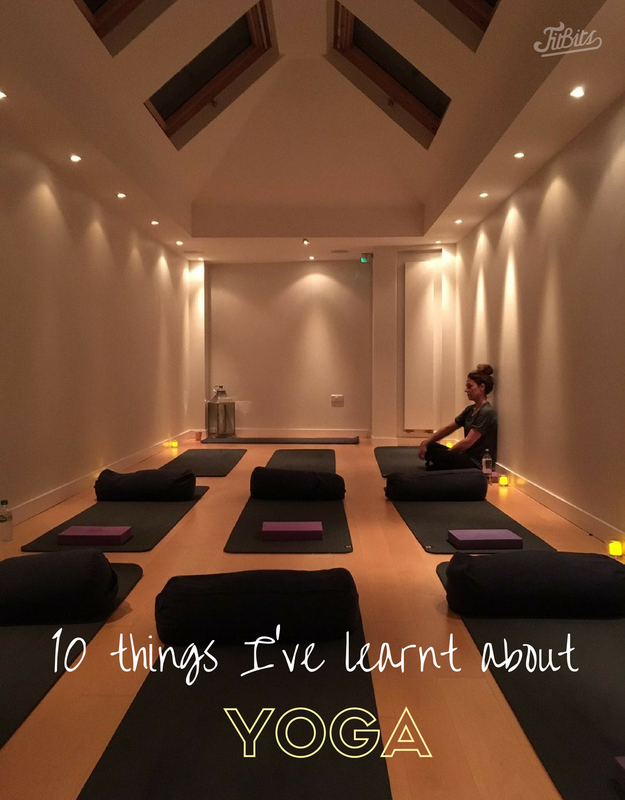 Here she goes again, she’s been to one yoga class in a couple of months, gets all gushy and has come home to write about it. Yep, that’s me. I will make time for it. I will goddammit! Fancy some candlelit Brighton yoga? Head to studio-io.co.uk to book. (Or hire the studio for your own class). Follow Holly Cooper Yoga on Facebook for daily yoga inspo even if you’re not in B town. Want a taste of this sound healing yoga shiz? Watch this and visit awakenheartyoga.com. What do you love (or loathe) about yoga? Next Post Inflatable 5k Santa Run!